The story of your proposal is a tale that your future wife, or husband, will be recounting at dinner parties for the foreseeable future, so the pressure is well and truly on. 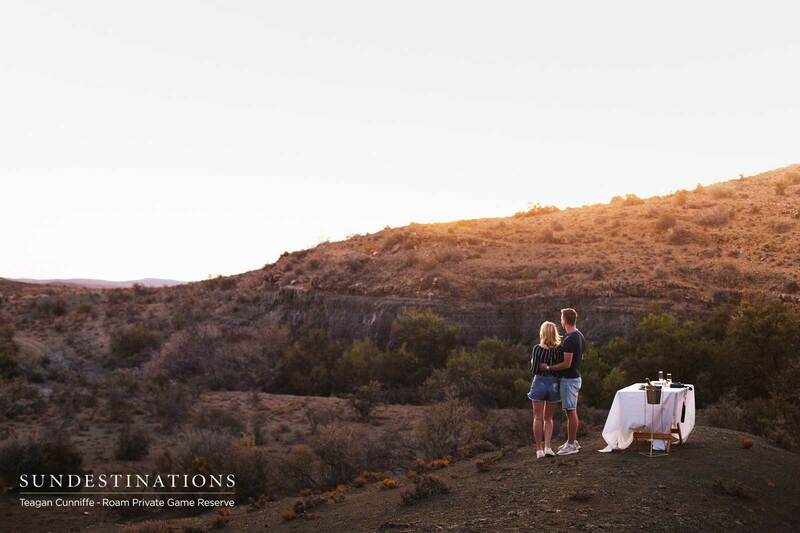 And what more memorable and romantic location than under the vast skies and endless scapes of Roam Private Game Reserve in the Karoo? Picture the scene: A few last minute chirpers are trying to get the last word in before sunset, but apart from the birds, it’s quiet and serene. There’s a slight breeze that brings relief after the intense heat of the day, and it rustles gently over the grassy basin below. The sun is slowly inching towards cover behind the Karoo horizon, bruising the blushing sky in a patchy array of purples and yellows. 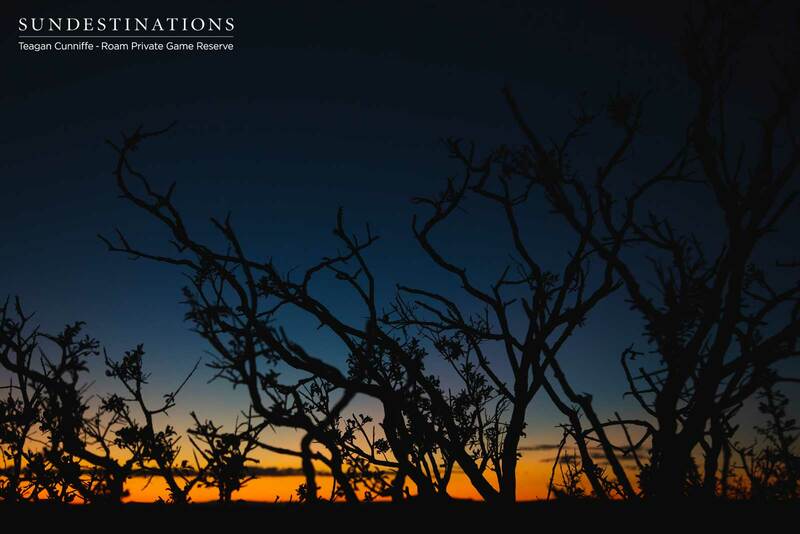 In the distance, the silhouetted necks of giraffes are cast against the setting sun, while a jackal sounds its lonely call to signal the end of the day. 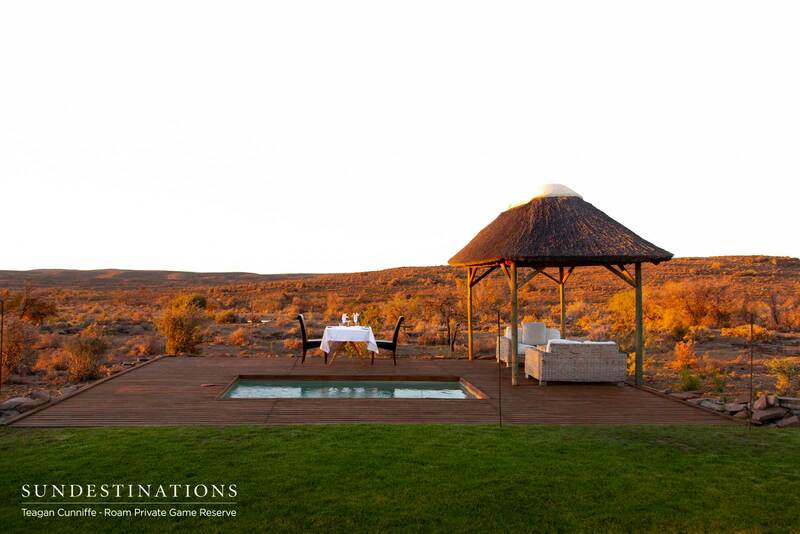 Your camp chairs are perched on a small rise overlooking the endless grassy plains and undulations of Roam Private Game Reserve, and the only other sign of humans for miles is the inconspicuous thatched roof of the lodge far in the distance. 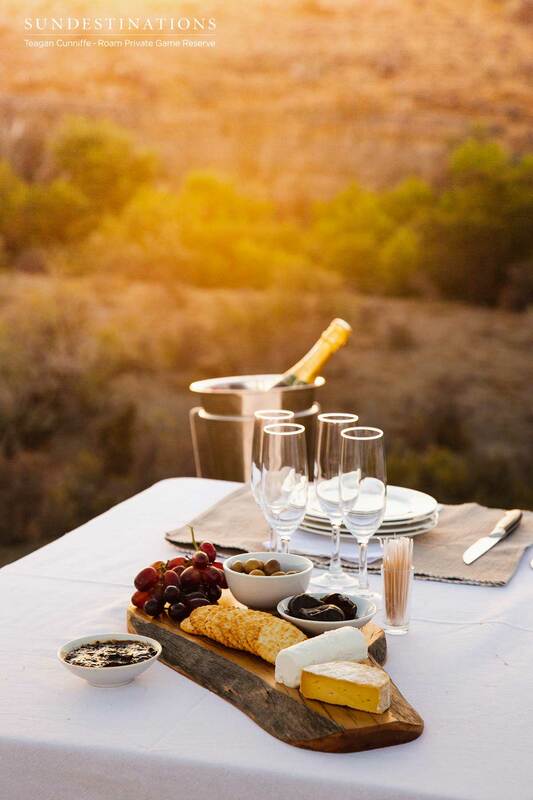 In front of you is a table laid out with a carefully selected cheeseboard, and ice cold champagne begging to be popped. It’s all set up, and the air is virtually crackling with romance. The ring is burning a hole in your pocket, and only one thing remains now: getting down on that knee! 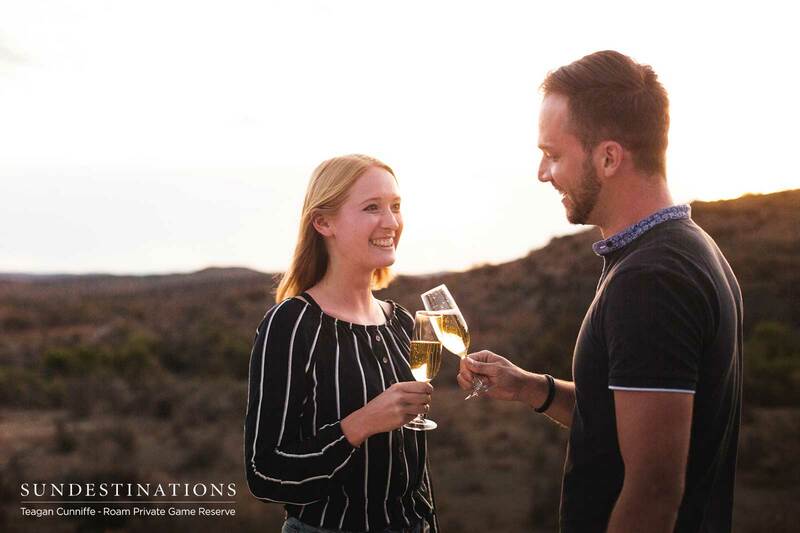 Proposing at the wonderful Roam is sure to count in your favour, and you can be certain your significant other will be only too proud to tell their proposal tale at every opportunity. The staff at Roam are also fantastic wingmen and women when it comes to popping the question, and they will pull out all the stops to make it as romantic and intimate as possible. 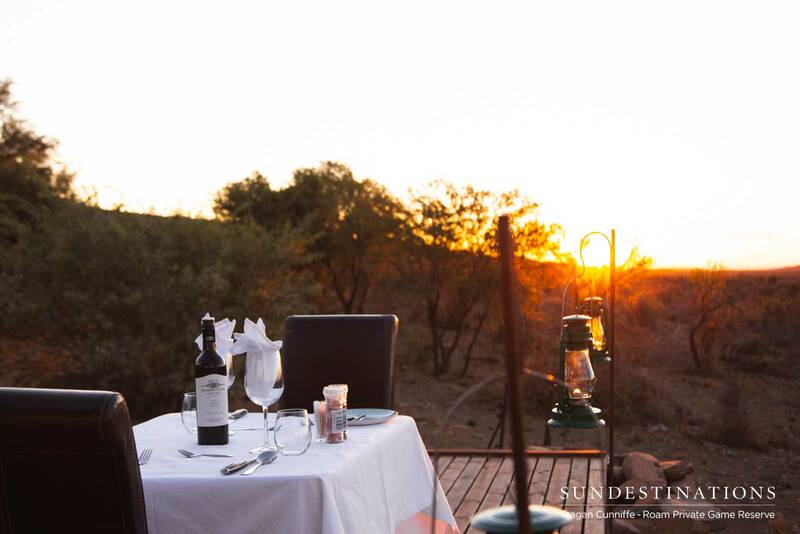 Apart from champagne sundowners, private candle-lit dinners by the pool can be arranged, and so can candle-lit bubble baths, rose-petalled beds, or whatever romantic whims you may have. 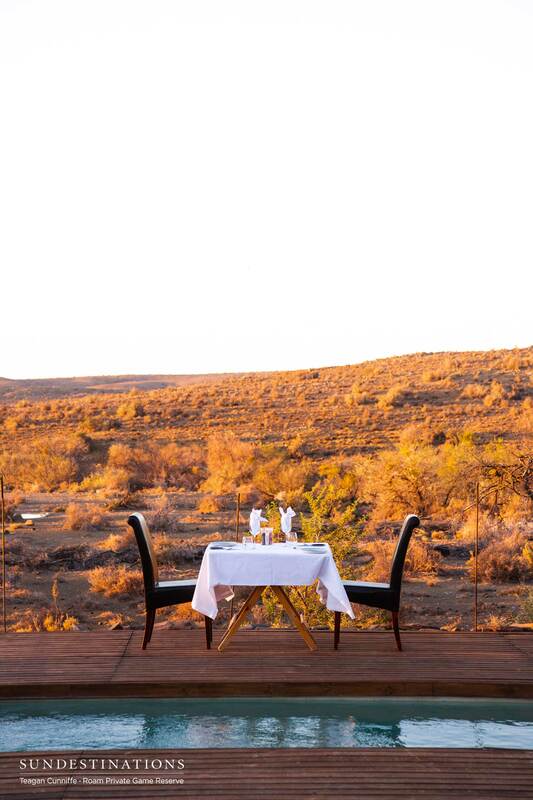 The rest of the weekend can be spent however you choose – relaxing poolside with your fiancé, going on morning- and evening game drives, birdwatching walks (there are more than 240 species of birds here), or even a bit of cheetah tracking. 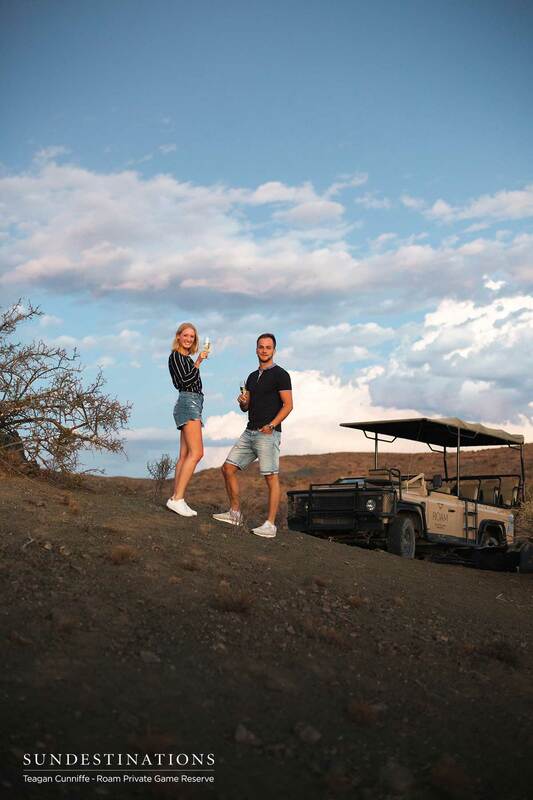 Mountain-biking couples will also adore Roam, as the reserve is criss-crossed with several tracks of varying difficulty, on which wildlife is regularly spotted from the saddle. At night, the Karoo sky lights up with an incandescent canopy of stars, and one can spend hours wondering at the majesty of the milky way. One could even use the telescope at Roam to pick out ‘your’ star – a star to celebrate your engagement and to mark your happy union. 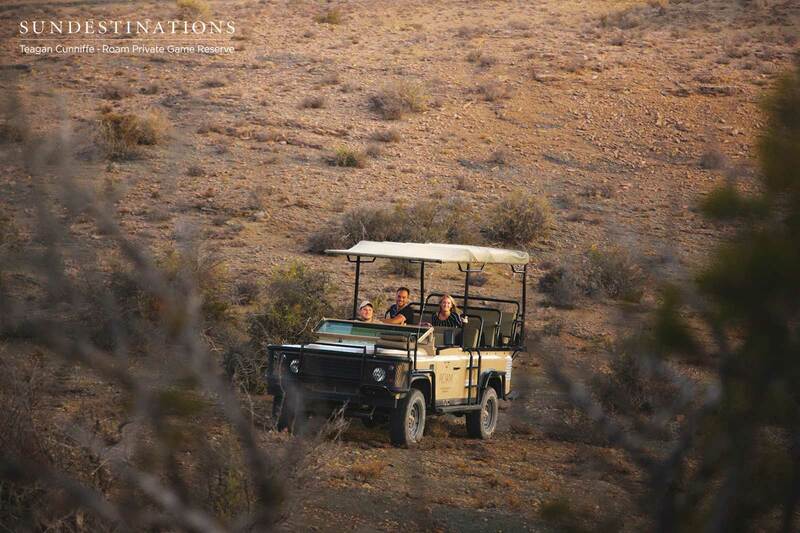 No one leaves the Karoo unaffected. There’s a certain sense of freedom here that one can’t explain. Its vast, seemingly endless horizons and infinite skies grab a hold of one’s heart, and a stay at Roam replenishes the soul. 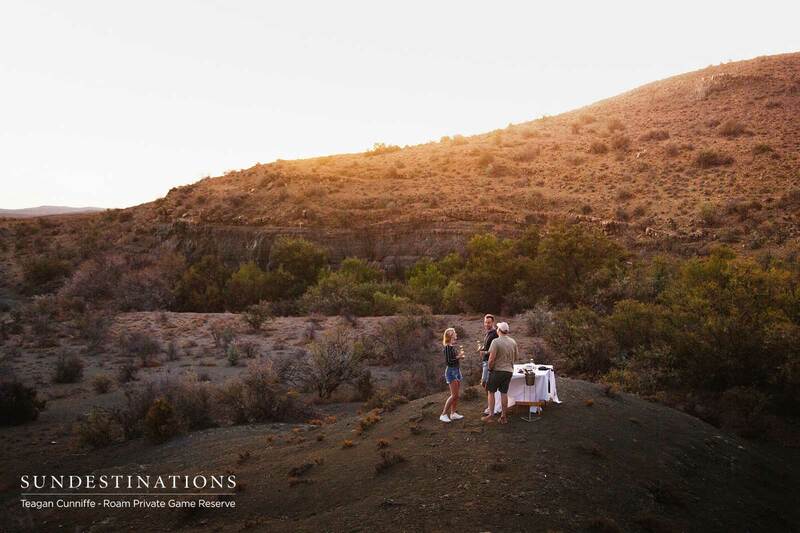 Sharing that experience with a loved one – and to make them yours forever in this magical place – is simply incomparable.